CHILD - City of DIU. CHILD, G. - City of DIU. City of DIU. - CHILD, G.
Title : City of DIU..
Map maker : CHILD, G.. Date : London, Th. Salmon, 1729-1753. Size : 5.6 x 8.1 inches. / 14.3 x 20.7 cm. 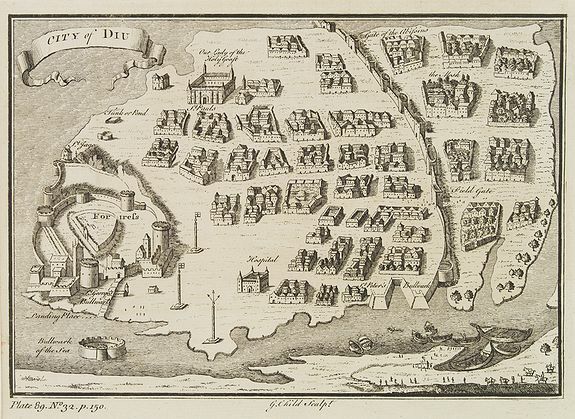 Description :Decorative town plan of Diu, after Joan Nieuhof. Engraved by G.Child for 'The Universal Traveller', by Thomas Salmon. Condition : Short upper and left margin. In very good condition.